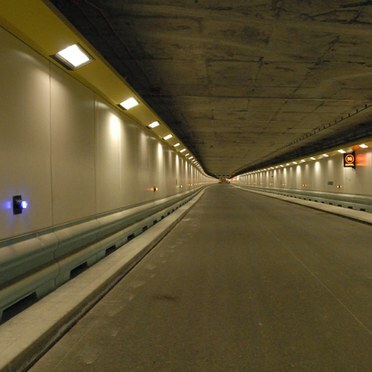 Tunnel lighting must provide comfort and safety and maximise the visual performance of users while complying with CIE guidance. As maintenance access can be limited and harsh conditions are common, a reliable performance of the lighting system is critical. 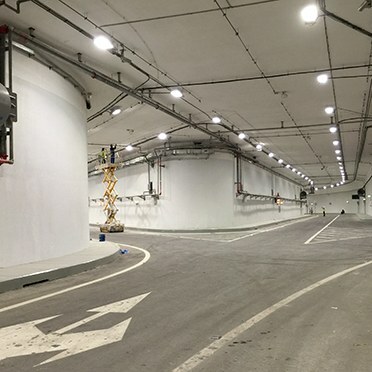 The projects here demonstrate how lighting which considers safety, visibility, durability, efficiency, longevity and performance can be successfully applied. 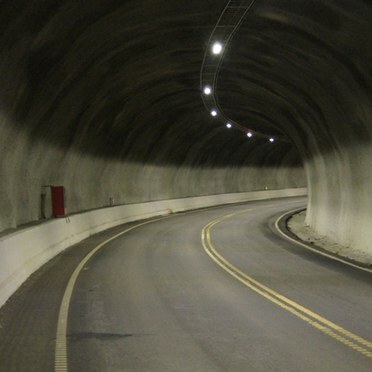 Replacing a complete lighting package in the three kilometre Bamble and Kjørholt tunnels. 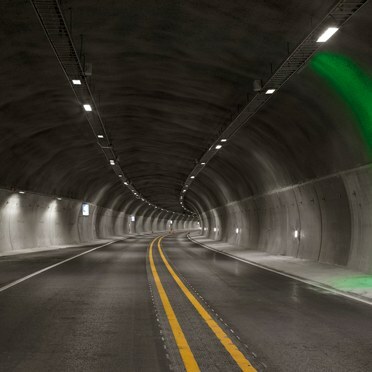 Efficient tunnel lighting creates safe and comfortable conditions for drivers, and will last a long time without requiring maintenance. Thorn lights a new tunnel running through the Cultural District of Saadiyat Island. 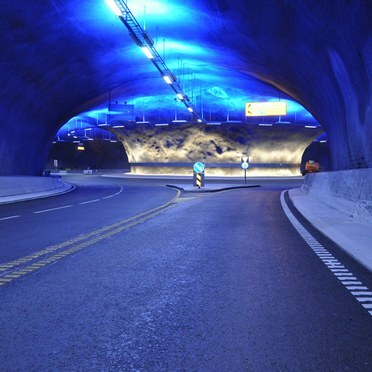 Two tunnels in Tinnsjo, southern Norway, have been refurbished with Thorn’s GTLED luminaires.